This surreal advertisement for corn from 1964 is reportedly the USSR's first TV commercial. If you would like to be healthy, fed for a hundred years, ask with a kind word at restaurants and cafeterias (and) recieve dinner wait, sit down, don't rush wait... (and) recieve dinner. Chef: where are you from? Corn: (unintelligible)... We were grown in azerbaijan, in a southern warm country, in the virgin lands of kasakhstan. Chef: understood. so what do you want? Corn: we want to get on the menu. Chef: i'm sorry, and i'm not kicking you out, but i'm not changing the menu. (The dishes start sliding) And the salads, and the soups, and (dishes) made from maize groats, and with sugar: porridge, pudding and cakes, and appetizers and garnish. Peace for all (i think). What a dish, absolutely spectacular! Every day will be prepared! Chef: and let me tell you something, all these dished can be made easily by any hostess (as in housewife). Over the course of 12 years, photographer Christopher Herwig traveled more than 18,000 miles around Eastern Europe to photograph the incredible, brutalist, experimental, and downright bizarre bus stops built during the Communist era. 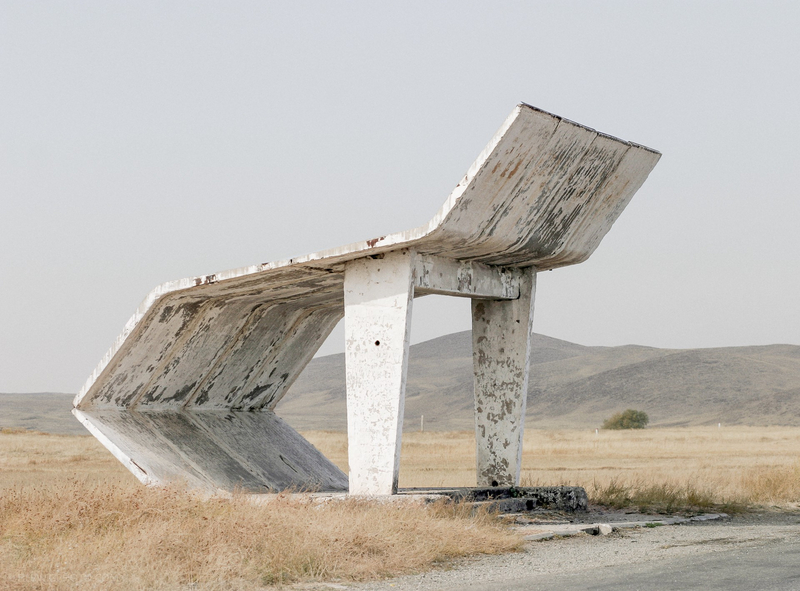 He compiled the results into a new book titled Soviet Bus Stops. Stalin always seemed to have a blue pencil on hand, and many of the ways he used it stand in direct contrast to common assumptions about his person and thoughts. He edited ideology out or played it down, cut references to himself and his achievements, and even exhibited flexibility of mind, reversing some of his own prior edits. First things first: oh, you world travelers, for pleasure or for work, never, ever fly Baltic Airlines. First they will stiff you by making you pay sixty euros to carry regular-sized hand luggage. You will note their particular eagerness to pounce on innocent non-Baltic travellers, especially haplessYankees with credit cards. During the flight you can expect to be charged for the air you breathe, since they don't even give free water. "A Soviet sensation upon its heavily publicized release in 1924, Aelita, the Queen of Mars is now a curiosity of post-revolutionary Russian silent cinema." Nanovo Shop sells hand-picked vintage housewares and designy tchotchkes and doodads from Czechoslovakia's Soviet era. It's early morning on April 26 in Kiev, Ukraine, where the Chernobyl nuclear disaster happened exactly a quarter century ago. On this day in 1986, reactor number four at the plant exploded, setting off a catastrophe that still reverberates far beyond the 30-kilometer exclusion zone. Demonstrations are taking place throughout Europe. In Tokyo, anti-TEPCO protests mark the occasion and its parallel to the still-unfolding disaster at Fukushima. The "liquidators" who were sent in to clean up the radioactive mess at Chernobyl back in 1986 received medals Monday from Russian president Dmitry Medvedev, but controversy still surrounds the health impact of the dangerous work they performed. The so-called "sarcophagus" surrounding the disaster site in Kiev is leaking, and world leaders have pledged "to provide $780 million for the construction of a shelter designed to house the toxic remains for another century." But even if and when that new container is finally in place, the radioactive mess will remain active—and hazardous—for many thousands of years more. Maggie pointed to this recent report from Chernobyl for PBS NewsHour by Miles O'Brien— it's embedded above in this post, and worth another view on this day. [video link, or watch on PBS.org, photo gallery]. I joined Madeleine Brand Show guest-host Alex Cohen today for a radio segment on my recent trip to Moscow with Miles O'Brien and his documentary crew, on the occasion of the 50 year anniversary of Yuri Gagarin's first space flight. On April 12, 1961, aboard the Vostok 3KA-3, Gagarin became the first human ever to venture into space. 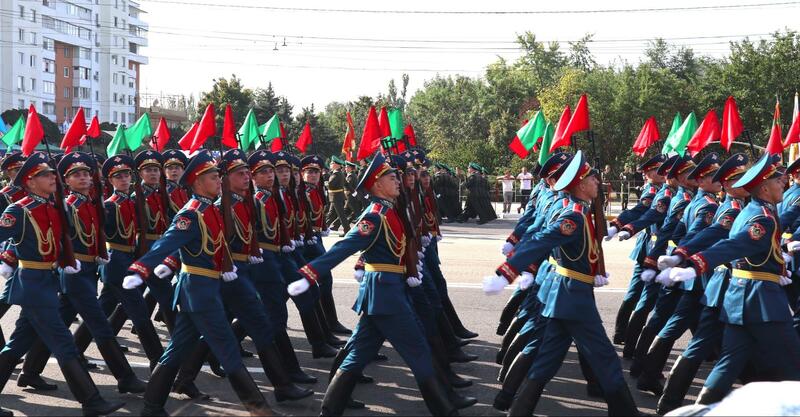 On the show today, we talked about the crazy Cosmonaut's Day celebration we attended inside the Kremlin; what space tourists do in space; why NASA has bought up seats on the Soyuz as our shuttle program ends, and we also chatted about weird Russian strawberry sushi and the amazing Soviet time capsule that is the Moscow metro. [Listen here, or download MP3 here]. Miles shot video of the military choir finale, with breakdancing cosmonaut cosplay kids. That video is embedded above, or here on YouTube. The good stuff starts around 1:39 in. This site collects vintage Soviet space and science illustrations; most appear to come from old children's books. They're eerily similar to American illos from the same era -- both empires believing that they were rocketing to a space-age, hypermodernist, Tomorrowland/Rollerball future. At the worst moment of removing the appendix I flagged: my heart seized up and noticeably slowed; my hands felt like rubber. Well, I thought, it's going to end badly. And all that was left was removing the appendix ... And then I realised that, basically, I was already saved. Estonian sculptor Mati Karmin creates furniture and other housewares (woodstove, prams, chairs, etc) from rusting naval "Blok" mines recovered from an ex-Soviet fortress on Naissaar Island, an Estonian island off the Finnish coast. This desk gives me the desiderata shivers. Jalopnik has a wonderful set of photos of the abortive Soviet moon lander, the LK Lander, abandoned in 1971. It currently rots gently in a private lab at the Moscow Aviation Institute. The photos come from the Russos Livejournal. Getting to the Moon requires launching a command module and a lander. Both are heavy objects and require massive amounts of thrust to get into orbit. The Soviet's planned to use their N-1 rocket, but two failed launches in 1971 and 1972 destroyed dummy landing and control modules, as well as the rockets themselves, and led to the program being shelved for lack of a proper launch vehicle. The LK was sent into space for numerous test missions. The first two unmanned flights were successful tests of the vehicle through a simulated orbit. The third flight ended when the N-1 rocket crashed. The fourth test in 1971 was a success, but years later the decaying test module started to return to Earth with a trajectory that would put it over the skies of Australia. According to Farranger, a LiveJournal commenter, this 1925 Soviet advertisement "is an ad indicative of the goods available to citizens in the wake of Lenin's New Economic Policy, which allowed small shops to reopen and for petty commerce." Also (and it must be said): that young man appears to be consummating unnatural relations with the Flatiron building.